On le surnommait "The Sound", tant son saxophone ténor séduit d'emblée l'auditeur par l'extraordinaire beauté de sa sonorité à la fois veloutée et timbrée. Les enregistrements réunis ici ont été réalisés au cours d'une des périodes les plus créatives de la vie de Getz. Dès son arrivée en Californie en 1953, il en enregistre avec les plus grands : Dizzy Gillespie, les pianistes Lou Levy et Jimmy Rowles, le tromboniste et compositeur Bob Brookmeyer, ou encore l'orchestre de Count Basie. 1.Love Is Here To Stay03:22 (Ira Gershwin - George Gershwin) The Stan Getz Quartet : Stan Getz (ts), Lou Levy (p), Leroy Vinnegar (b), Shelly Manne (d). 2.Cool Mix03:02 (Bob Brookmeyer) The Stan Getz Quintet : Bob Brookmeyer (ctb), Stan Getz (ts), John Williams (p), Bill Crow (b), Alan Levitt (d). 3.East Of The Sun (And West Of The Moon)06:16 (Brooks Bowman - Brooks Bowman) The Stan Getz Quintet : Conte Candoli (tp), Stan Getz (ts), Lou Levy (p), Leroy Vinnegar (b), Shelly Manne (d). 4.A Handful Of Stars03:18 (Jack Lawrence, Ted Shapiro - Jack Lawrence / Ted Shapiro) same as 1. 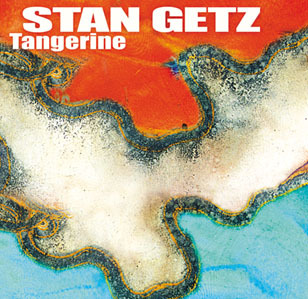 5.Tangerine07:03 (John Mercer - Victor Schertzinger) The Stan Getz Quintet : Bob Brookmeyer (ctb), Stan Getz (ts), John Williams (p), Teddy Kotick (b), Frank Isola (d). 6.The Nearness Of You03:40 (Hoagy Carmichael, Ned Washington - Hoagy Carmichael / Ned Washington) same as 5. 7.Exactly Like You04:55 (Dorothy Fields - Jimmy McHugh) Diz and Getz : Dizzy Gillespie (tp), Stan Getz (ts), Oscar Peterson (p), Herb Ellis (g), Ray Brown (b), Max Roach (d). 8.Nobody Else But Me03:31 (Oscar Hammerstein II - Jerome Kern) The Stan Getz Quartet : Stan Getz (ts), Jimmy Rowles (p), Bob Whitlock (b), Max Roach (d). 9.With The Rain And The Wind In Your Hair03:45 (Jack Lawrence, Clara Edwards - Jack Lawrence, Clara Edwards) same as 8. 10.Over The Rainbow05:21 (E.Y. Harburg - Harold Arlen) The Stan Getz Quartet : Stant Getz (ts), Bengt Hallberg (p), Gunnar Johnson (b), Anders Burnman (d). 11.It Don't Mean A Thing05:03 (Duke Ellington, Irving Mills - Duke Ellington / Irving Mills) The Stan Getz Quintet : Bob Brookmeyer (ctb), Stan Getz (ts), John Williams (p), Bill Anthony (b), Art Mardigan (d). 12.Stella By Starlight02:42 (Ned Washington - Victor Young) The Stan Getz Quintet : Stan Getz (ts), Duke Jordan (p), Jimmy Raney (g), Bill Crow (b), Frank Isola (d). 13.Everything Happens To Me07:05 (Matt Dennis - Thomas Adair) same as 10. 14.I Hadn't Anyone But Me02:50 (Ray Noble - Ray Noble) same as 8. 15. (Back Home Again In) Indiana04:49 (Ballard MacDonald - James F. Hanley) same as 10. 16.Easy Living04:24 (Ralph Rainger, Leo Robin - Ralph Rainger / Leo Robin) Stan Getz withe Count Basie Orchestra : Wendell Culley, Reunadl Jones, Thad Jones, Joe Newman (tp), Henry Coker, Bill Hugues, Benny Powell (tbv), Marshall Royal ('as), Ernie Wilkins (as, ts), Frank Foster, Frank Wess (ts), Charlie Fowlkes (bar), Count Basie (p), Freddie Green (g), Eddie Jones (b), Gus Johnson (d).